Triggered from a post by B in his blog, A Path To Forever Financial Freedom, I am tasked to do a CNAV (Conservative Net Asset Value) analysis on of the stock of his interest, SembCorp Industries (U96). Hence this post on the early Saturday (as later part in the afternoon, I will be heading down to Hong Lim Park to get painted purple, click here to see what's happening there). Conclusion : Since it is a negative "Discount for CNAV2", it means that the stock is traded at premium (from CNAV perspective). Also, it is traded at a 26% premium when compared with the less conservative indicator, NAV. Conclusion : An average P.O.F Scoring but the Financial Efficiency could be a concern. Final Conclusion : Don't foresee this stock will fall under the CNAV basket! 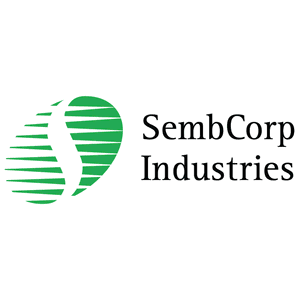 Are you vested in SembCorp Industries? What is your take on this stock? Richard is our best investing pal! Wondering what are the stocks cnav graduates have bought? I think Hongkong Land falls very close to the cnav example. On a more serious note, EV/Ebitda would be a good gauge to defining their net equity less their leverage over ebitda and I thought they have been well leveraged at the moment. If you do a CNAV analysis for all 30 STI blue chips, the majority will fail too, since many of them trade at a multiple of their book value. I think CNAV is more for valuing asset heavy companies, such as those in industries such as property, manufacturing and shipping/airlines. By anaylyzing towards CNAV you must understand that you are going down the Benjamin Grahnam path and not the Warren Buffett style. Felix : can't agree more with you! That's why there is still a POF score to complement it. Also, you are right that ultimately only small amount of stocks fall within the CNAV basket.. Any strategy also has its pro and cons, there is no SURE WIN! Yeah, thanks for your warm reply. Have a good weekend ahead. Felix : you too have a great Sunday ahead of your! Hi Richard, I've bought a small position in Sembcorp Industries early this month after much thought. You may want to have a look at my post on the company's analysis when you're free. If it really falls into your CNAV category, I think many value investors (including myself) will all-in! Don;t you agree? secret investors : Will check out your post in awhile! Thanks for dropping by..
Merry X'mas and Happy new year to you two! Thanks for the blessings and same to you!